St. Vincent de Paul Church located on North 6th St. between Bedford and Driggs Aves. in Williamsburg has been sold for $13.7 million. 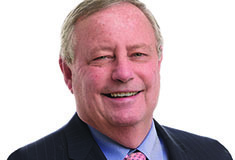 Representing the buyer, a private investor, New York-based residential brokerage, MNS negotiated the deal through its newly launched Investment Sales and Capital Advisory division. "The sale of St. Vincent de Paul Church further establishes the incredible amount of interest we are seeing from developers and investors in Williamsburg," said MNS partner David Behin, who will be heading the new Investment Sales and Capital Advisory division. "The launch of this new division enables us help developers recognize potential development sites and become part of the process at the early stages." 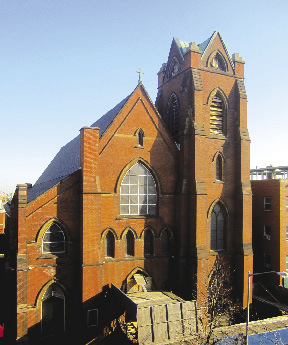 Designed by architect Patrick Keely in 1869, the three-story brick church comprises a total 37,500 s/f - with up to 75,000 s/f of floor area available under current zoning regulations. Holliday Fenoglio Fowler, L.P. represented the property owner, the Roman Catholic Archdiocese of Brooklyn, and David Behin of MNS represented the buyer. The Investment Sales and Capital Advisory division was launched mid-2011 and within its first six months of inception, has sold over $50 million of real estate and note sales for development sites, while successfully raising over $14 million of equity for developers. The division's rapid success is due to years of cultivated relationships with banks, property owners and other brokerages, providing insider knowledge of deals before they happen. MNS is a leading residential brokerage and sales and marketing firm with offices in Manhattan and Brooklyn, and is the exclusive sales and marketing firm on some of the largest and fastest selling condominium projects in New York, including One Brooklyn Bridge Park and The Edge. MNS is also known for its monthly rental report - the only one of its kind in New York - which has become the premier source of information on rental trends for consumers and the industry alike. The company was created in 2009 with the joint venture The Real Estate Group of NY, a seven-year-old brokerage company and The Developers Group, an eight-year-old sales and marketing company. For more information, please visit MNS.com.